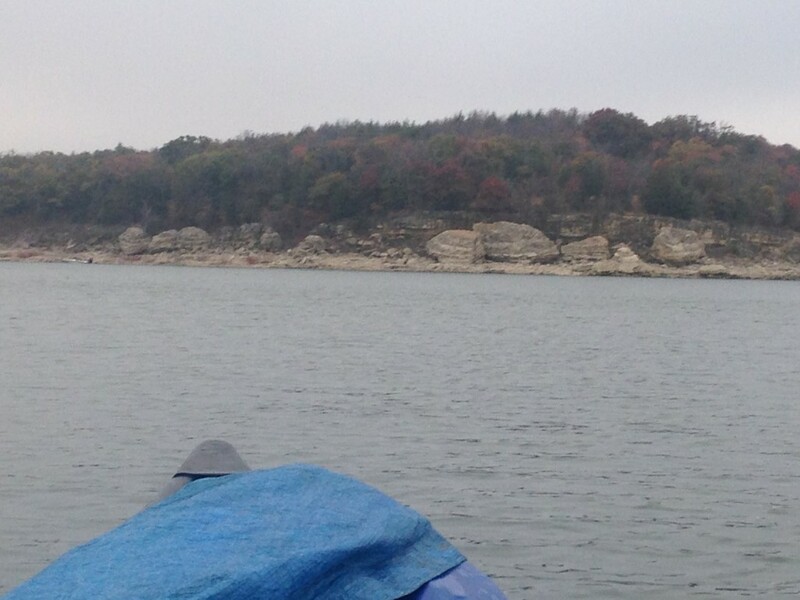 I finished Texoma today. Sort of. I wanted to complete as much of the lake as possible because of uncertain weather conditions tomorrow and Sunday. It is suppose to rain a few inches tomorrow and Sunday winds are expected to be very strong. I woke up at 3:00am and prepared for launch. 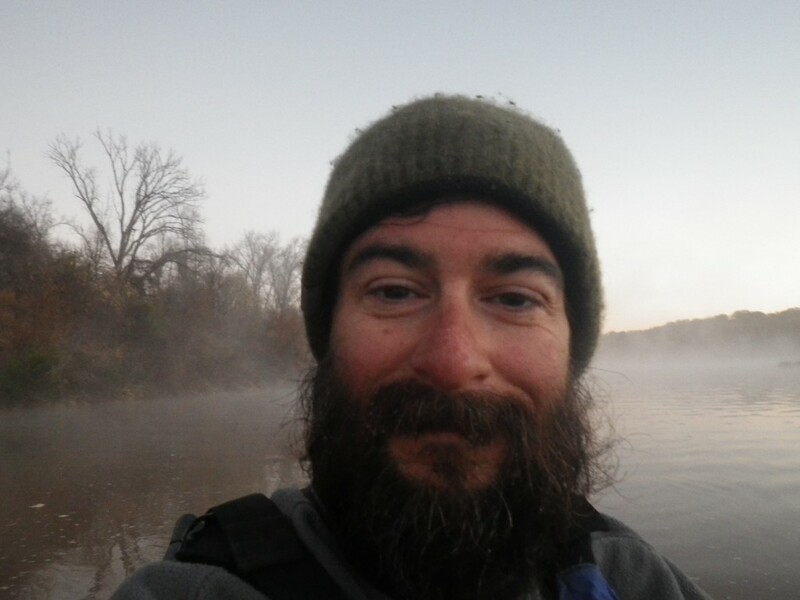 I paddled into the morning darkness, leaving Eisenhower Park at 4:00. 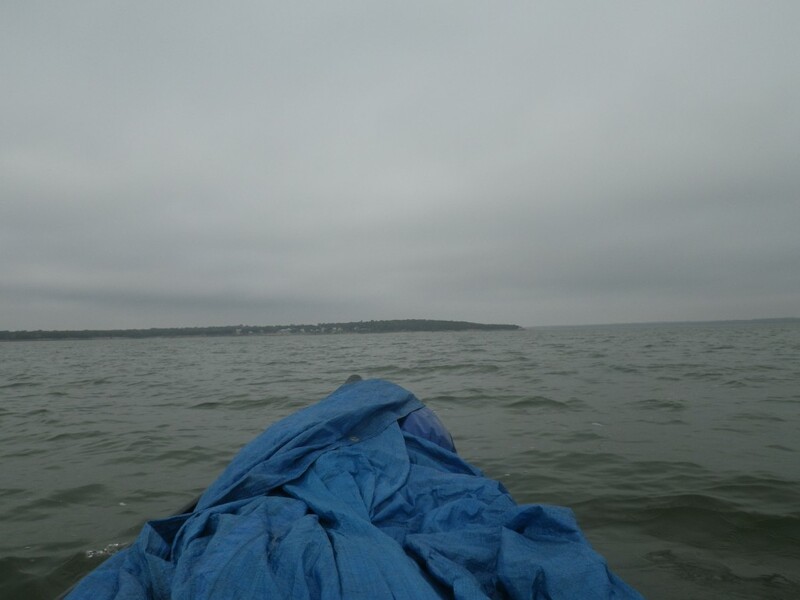 It was interesting to paddle in the morning darkness, I could see ominous clouds to the north although radar indicated no rain was in the immediate area so I paddled on. The day was overcast, the wind was at my back and I cooked. 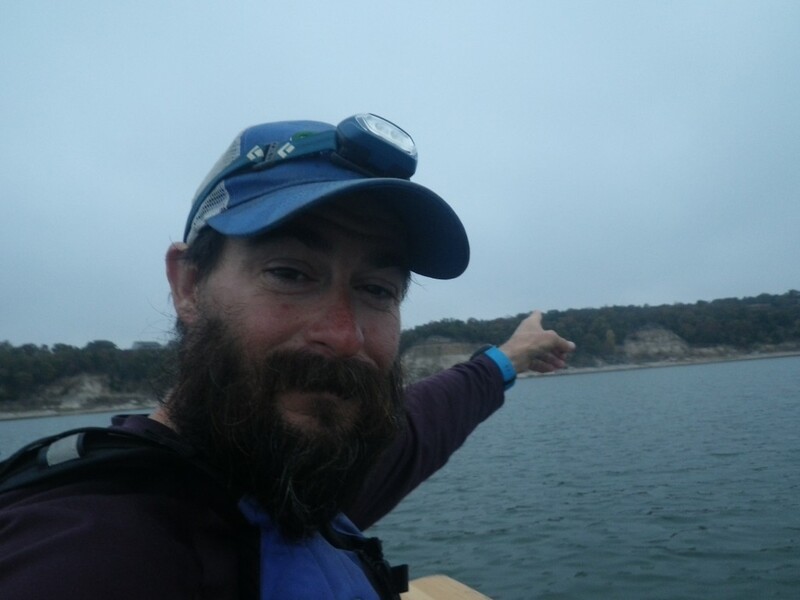 I paddled further than I had expected, I even took an hour respite about 5 miles from the western edge of the lake. 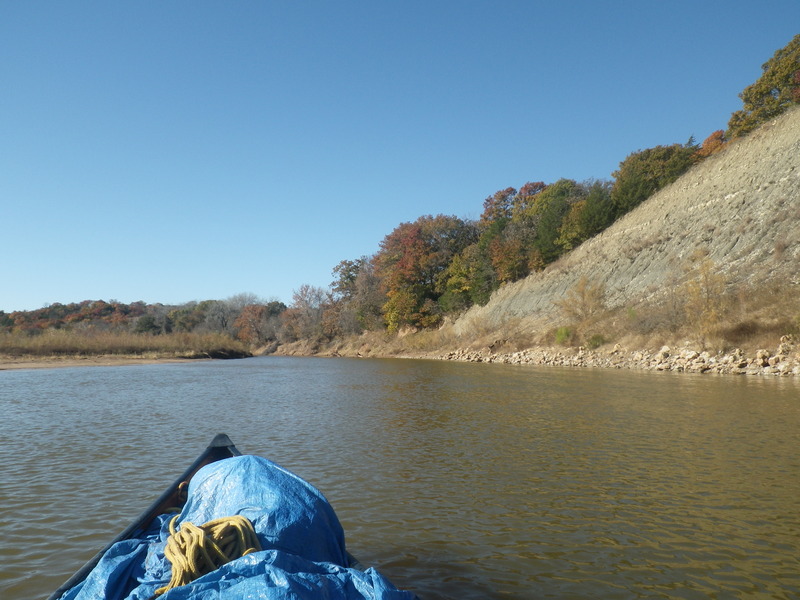 After my break, I headed towards where I expected the Red River channel to resume on the other end of the lake. I simply couldn’t locate it. 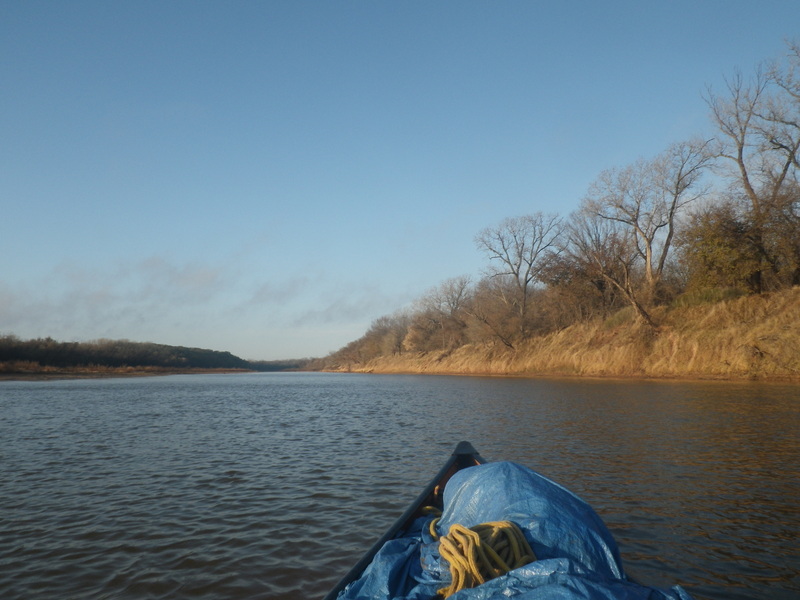 I would characterize the entire day as a success although it was maddening not finding the Red River channel. 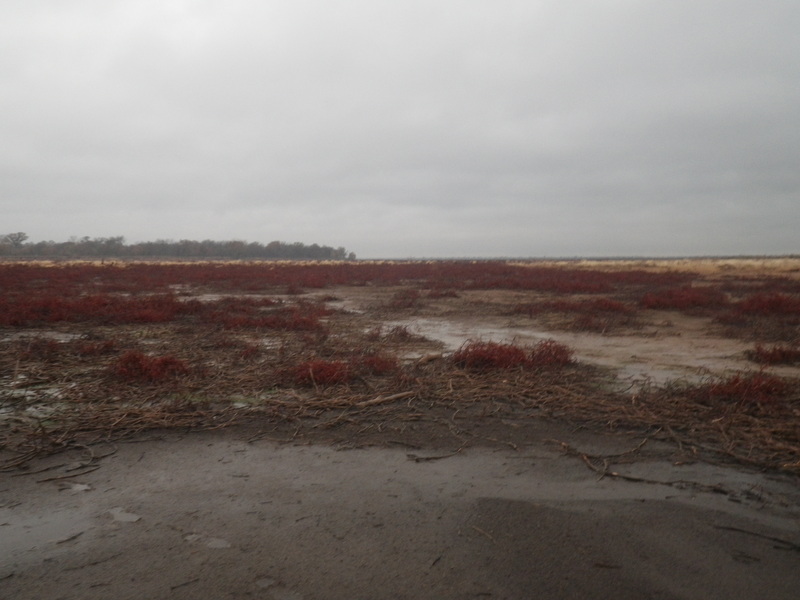 What I didn’t understand was the typical channel was dry, simply a stretch of vines. 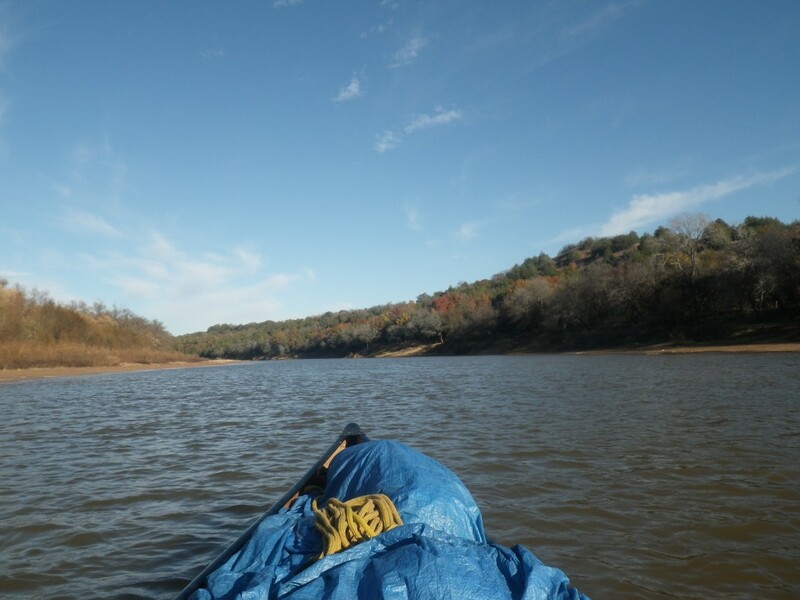 After paddling around the western edge of the Lake, unable to find the channel, I decided to paddle back about a mile to a suitable campsite. I consulted with my support team (i.e. my brother, Andy, Norm, and Robin) and they indicated that there is another channel a bit further north than where I was paddling. 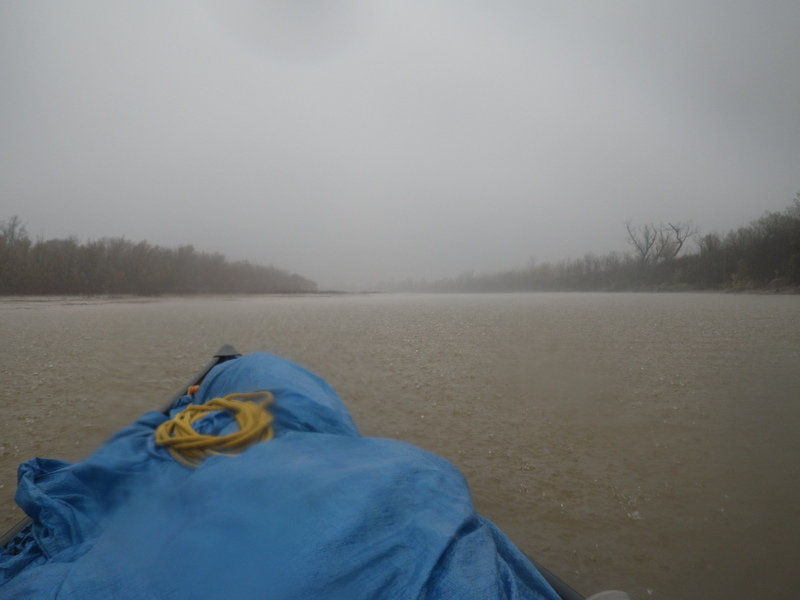 Nothing like wasting 2 hours looking for a river channel….I’ll find it tomorrow. Hopefully. I understand we are expecting heavy showers tomorrow, my intention is to paddle on (unless we have lightning). That way to the Red? Not sure. I found the channel. It took me a little while, I scouted it out by foot…but I made it to the other side of The Red. I loved Texoma while it lasted, a destination I will paddle in the future. It is a beautiful lake with many islands and seemingly great camping. I had expected rain early in the morning. It didn’t arrive until about 10:00. It rained without pause until about 8:00pm. 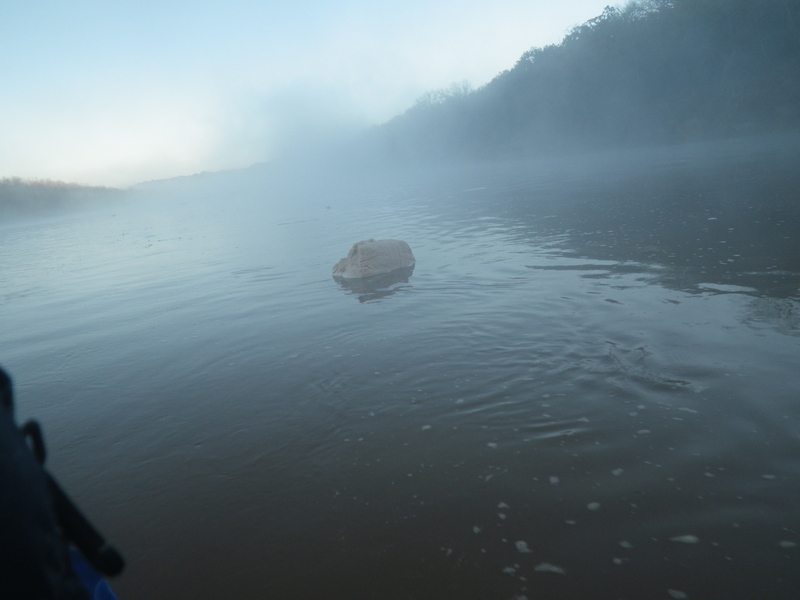 I paddled through it, everything was wet, my hands shriveled up. My feet were soaked, it was tough sledding. 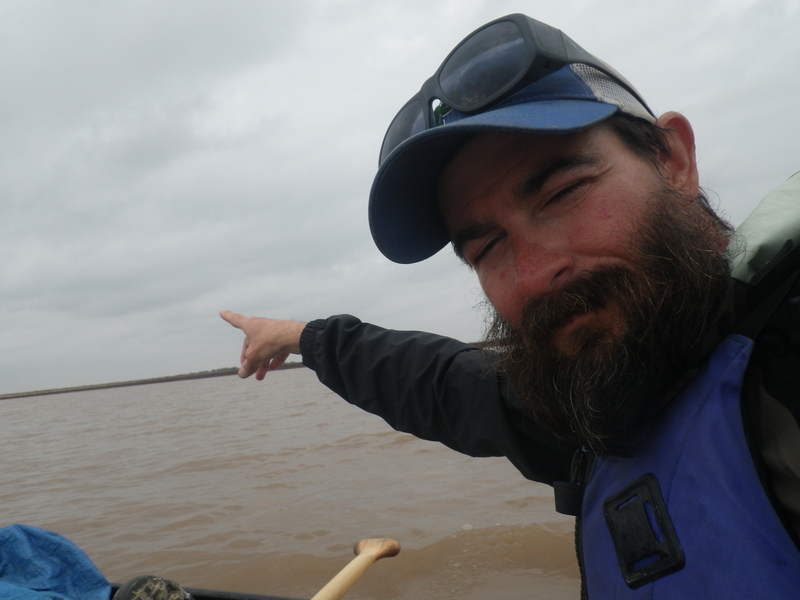 I was happy that, for the most part, I had a reliable channel to paddle in..I really didn’t have to drag my boat for long stretches. The rain and current did slow my progress, I had hoped to finish the Red tomorrow (the end is the I35 bridge) although Monday is more likely now. 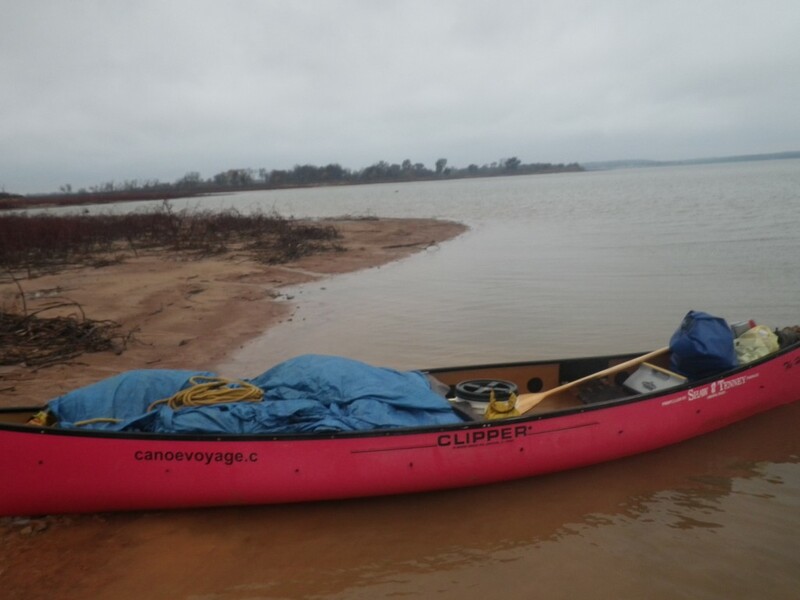 I paddled on and setup my tent in very wet conditions. Camping was less than ideal..I am running out of dry socks. I was relived to find the other side of the Red and I felt satisfied that I have almost completed this leg of the journey. What a difference a day can make, the skies were sunny, temps were perfect and I had an unexpectedly beautiful float today. 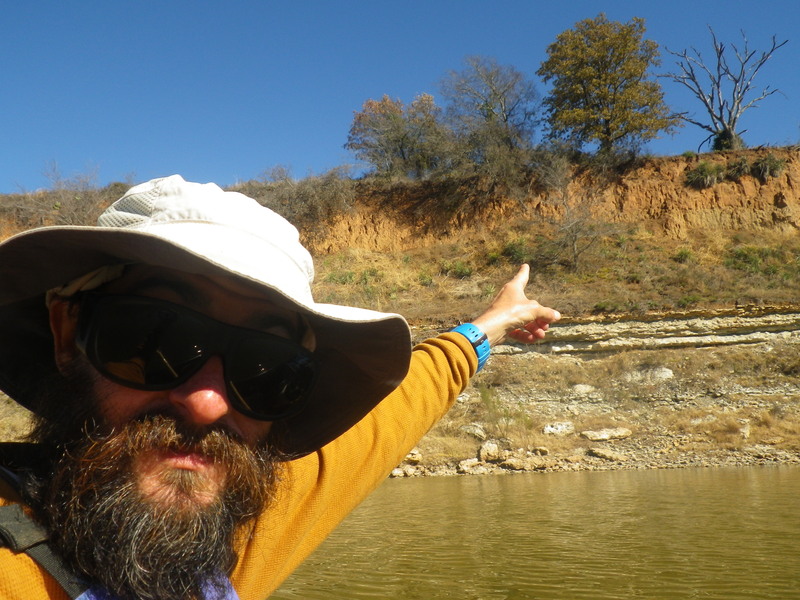 I passed by 50-60 foot granite cliffs, a nice horseshoe bend recreation area, and arrived a mere 5 miles from the end of the Red. 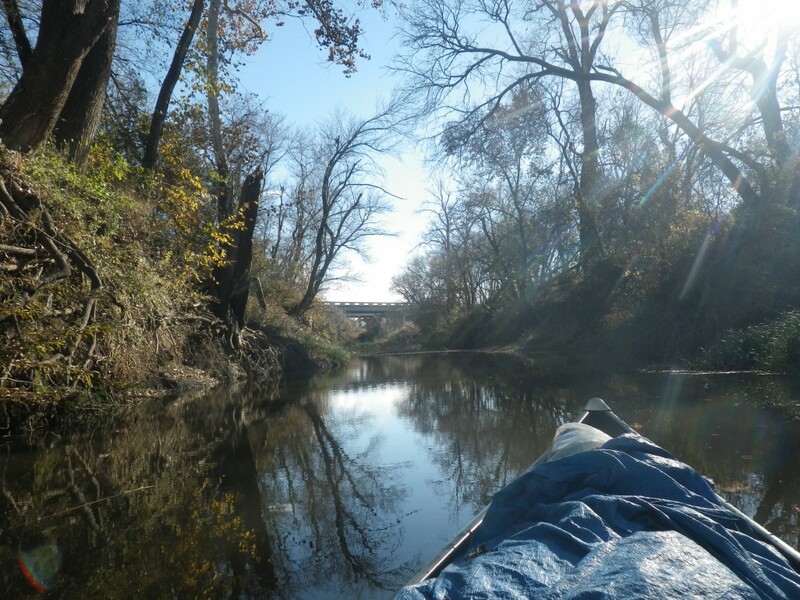 The scenery today was maybe the most enjoyable that I’ve experienced since the lower Red River. 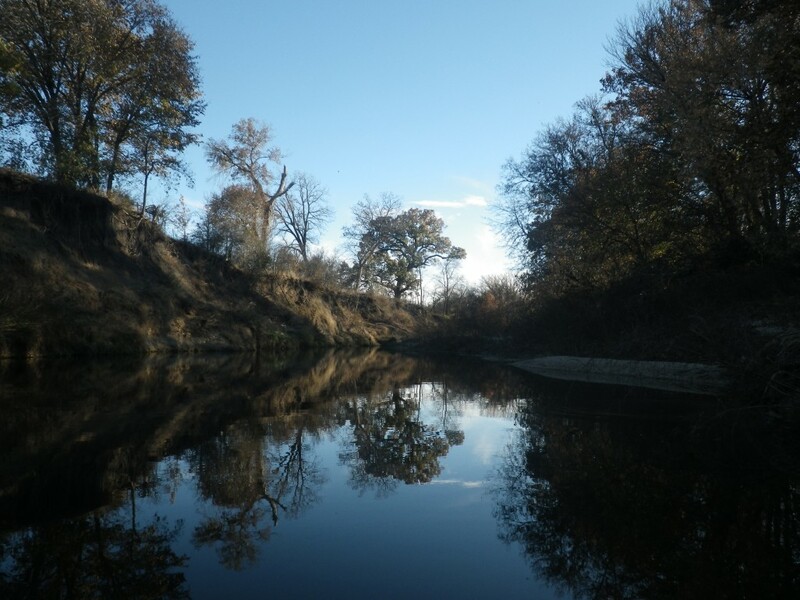 I have lived in Dallas since 1993 and had no idea this natural beauty existed so close to home. 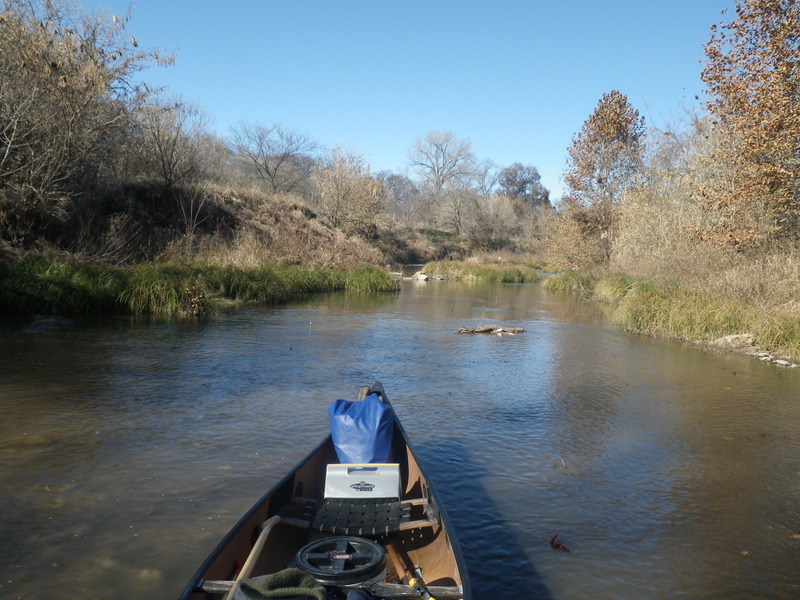 I’ll paddle this section again someday…only downstream next time. I realized early in the day that I had no shot at the I-35 bridge so I took it easy and attempted to soak it in, I am excited to depart the Red…it has really been a tough past month but I wouldn’t have it any other way. I finished the afternoon and found a nice elevated sandbar for what I expect will be my last night on The Red. The last day on The Red. Unforgettable. 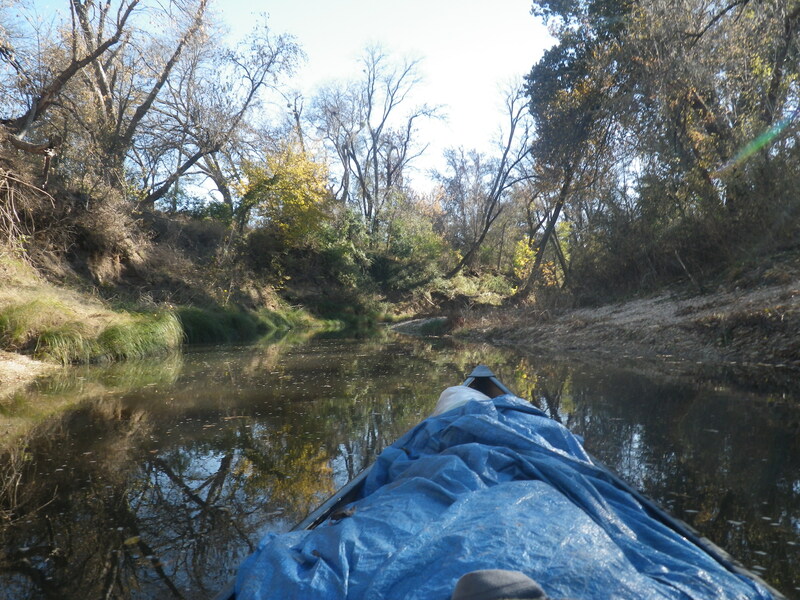 Last night I pulled my boat way up on the bank just in case of a water level rise (from the rains on Saturday). 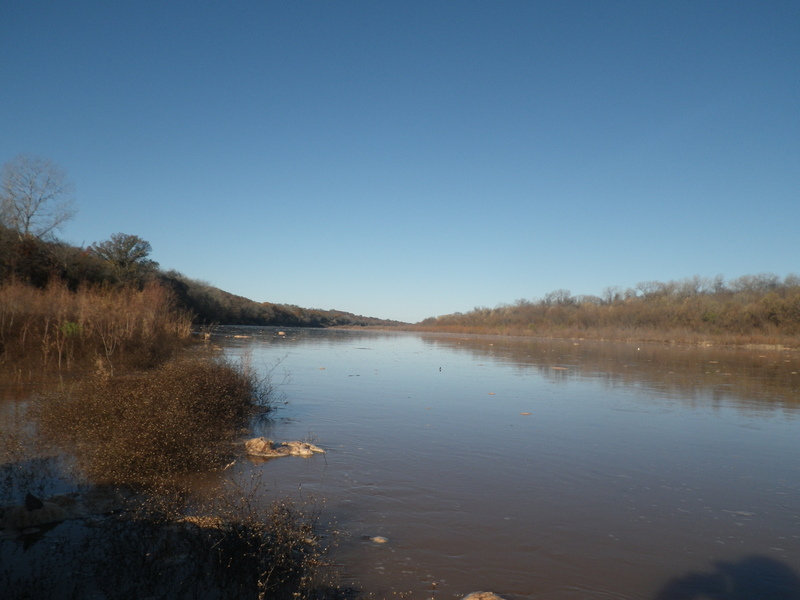 I woke up to a completely different river, the river must have risen 4-5 feet, a quarter of my boat was in the water and all of the sandbars up river were under water. 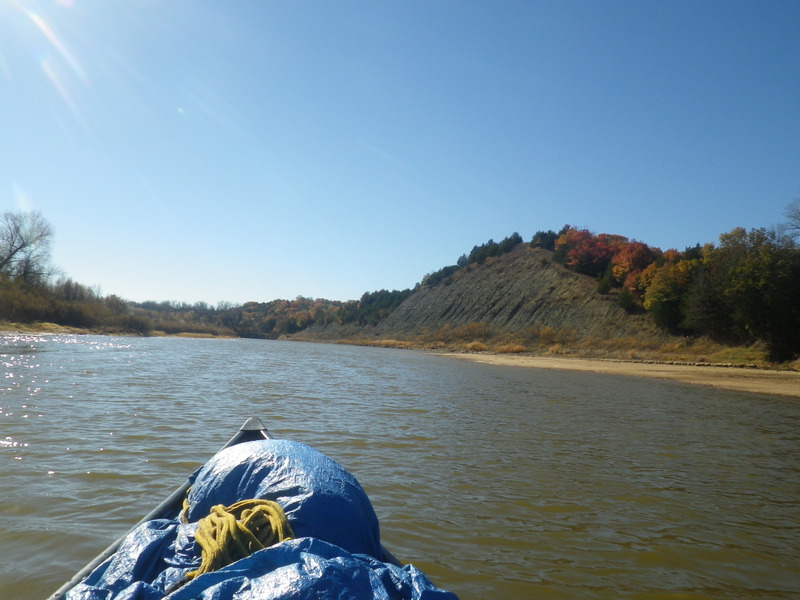 I felt fortunate I camped where I did…had I chosen a different site, I could have been swamped. 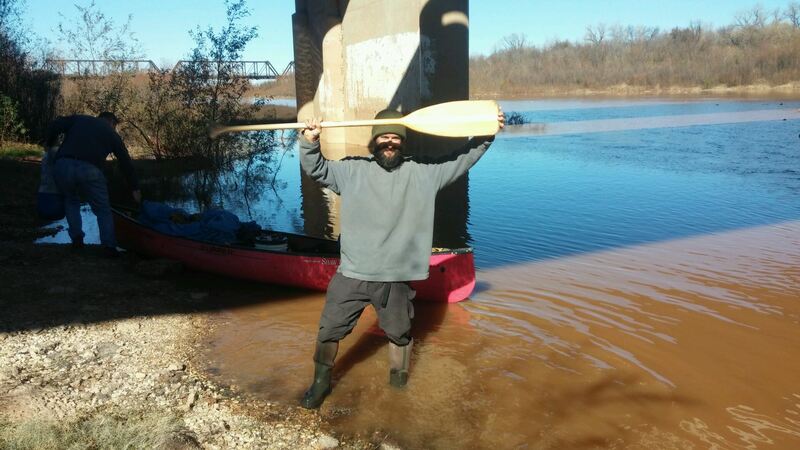 With the rise in the river, my paddle didn’t touch bottom all the way to the I-35 bridge. The challenge today was the current, it was as strong as I’ve seen the entire time on The Red. 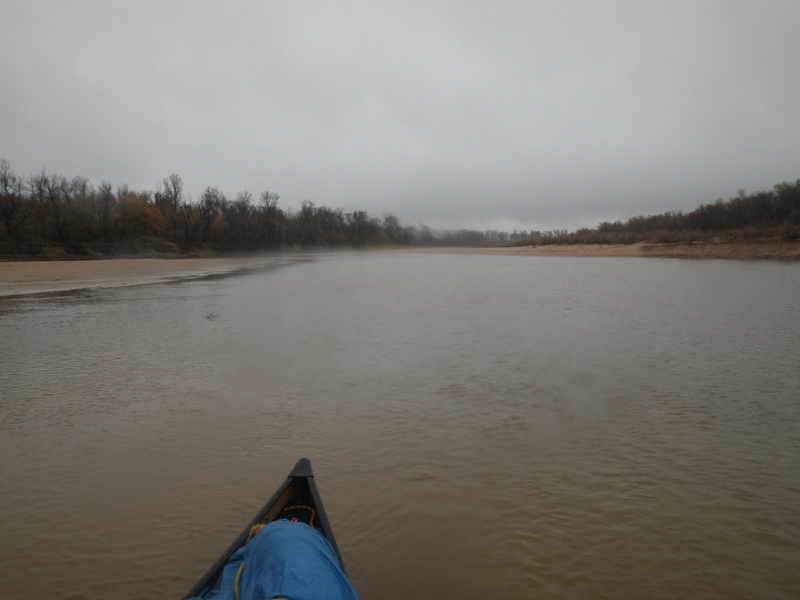 I felt like I was paddling upstream on the Missouri or the Mississippi. I can’t complain too much since it was nice not to have to hop out of my boat. As I approached the I-35 bridge, I passed by a private ramp where a truck was parked. The truck drove down close to the river and the owner stepped out, somewhat in amazement that I was paddling up the Red on this particular day, and offered help. 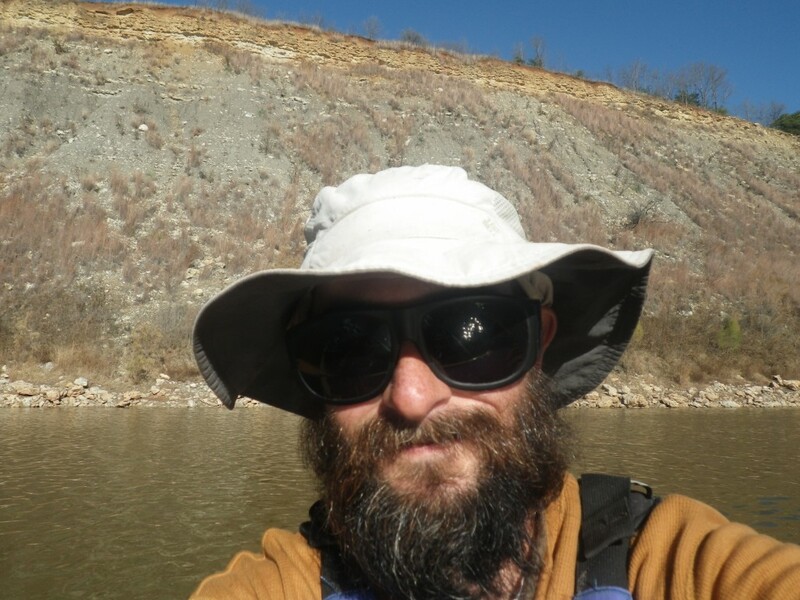 I couldn’t stop paddling since I would be pushed downriver so I explained I am paddling to the I-35 bridge and have been on a journey since Montana. He called BS on me, I laughed and said “no, it’s the truth.” It must have been some spectacle seeing me struggle upstream on this particular day. 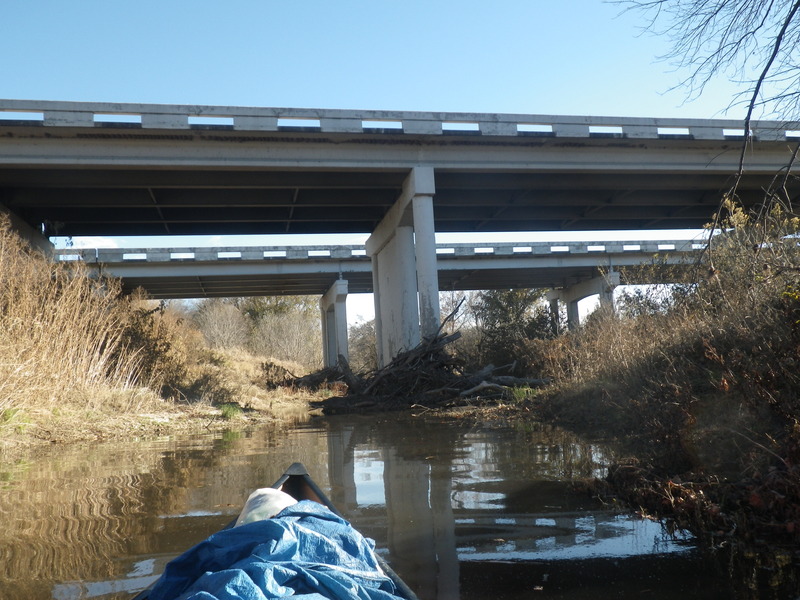 It was an emotional last few miles to the I-35 bridge, this was exacerbated when I saw someone on river left filming me. 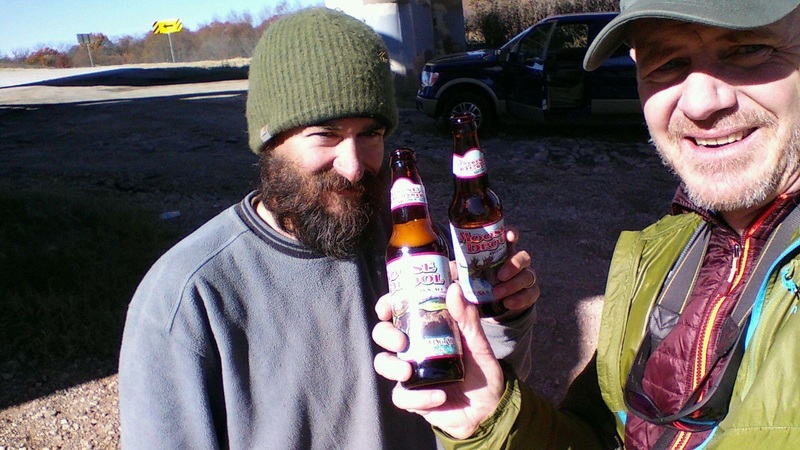 At first, I thought this was my brother since he agreed to portage me to The Trinity from the I-35 bridge. I quickly realized it wasn’t Kevin and couldn’t figure out who would be filming me. As I approached the individual, I realized it was Norm Miller. I was in shock. This may have been the biggest surprise of my life. It took me about a day to process that he drove down from Montana to join in my last week of paddling. Still can’t believe it. 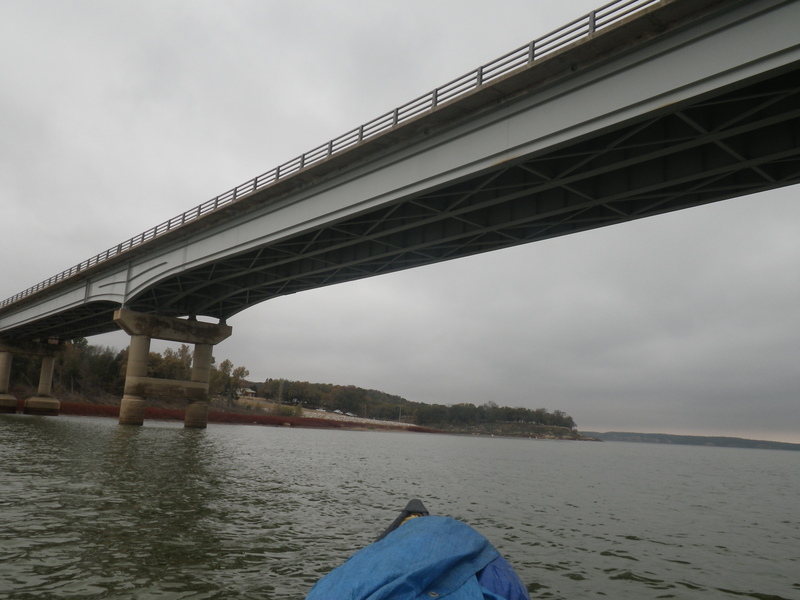 I arrived at the bridge, the gentlemen who called BS on me was there to greet me…he is a landowner and a terrific guy. He just had a hard time believing someone paddled from Montana to The Red. Also, it was great to have Kevin and Norm there to greet me with a cold beverage. The Sherman News, by happenstance, was also there and I did a quick interview. We cleaned the boat, went to a local restaurant, and they dropped me back into the Trinity. It was a highly emotional few hours. I finished my nemesis, The Red, was surprised by Norm, and found myself actually on The Trinity. Tough to articulate my feelings. 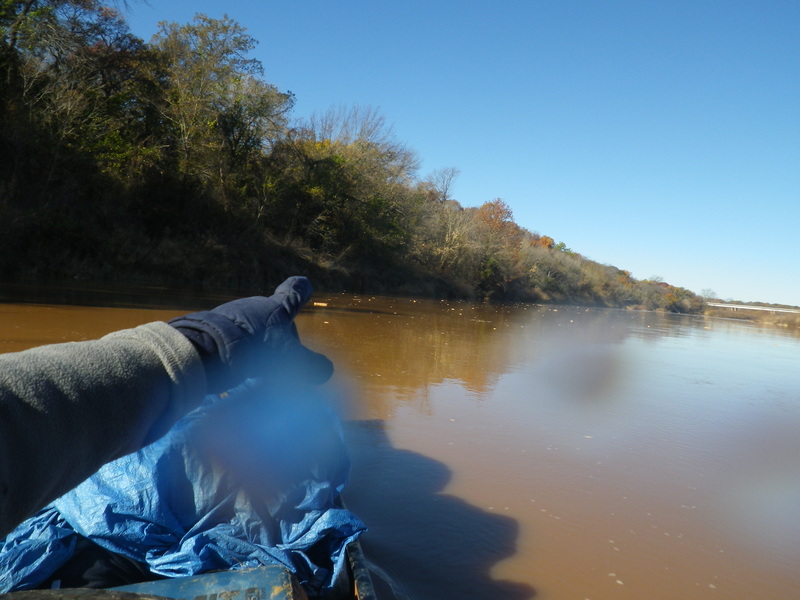 After Norm and Kevin portaged me to the Trinity, I paddled (Um, carried my boat) a few more hours. 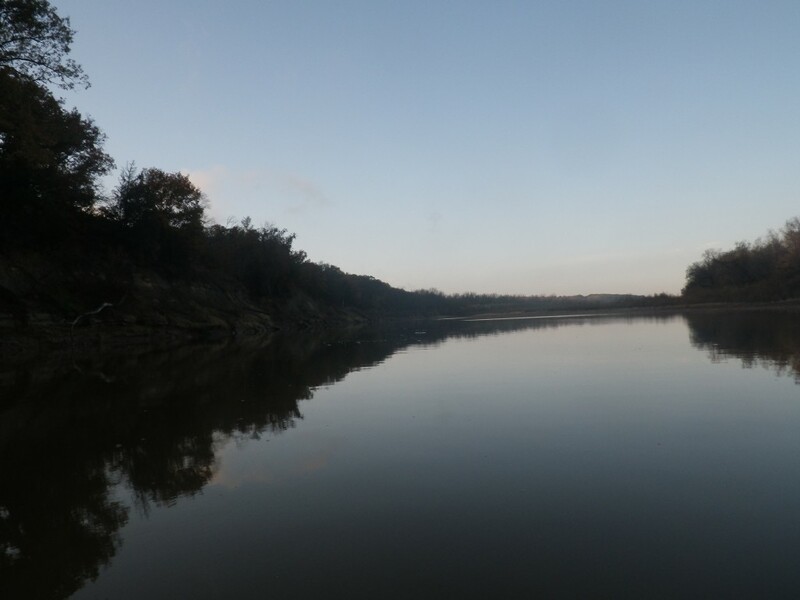 This section of the Trinity really isn’t ideal for paddling. 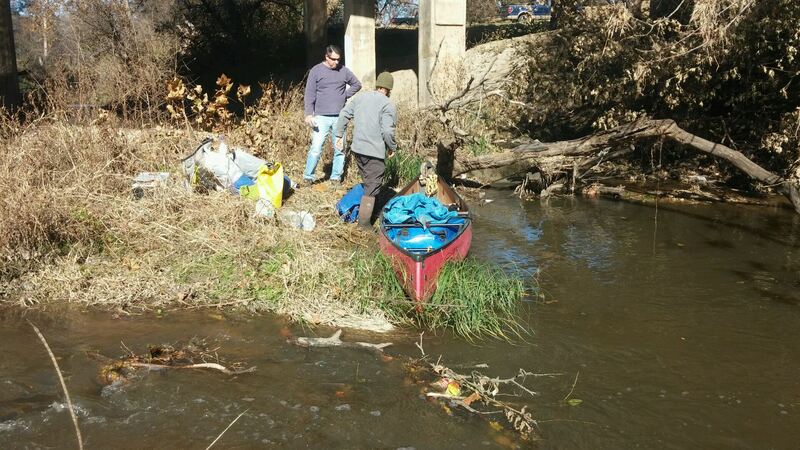 In fact, I spent more time carrying my boat than paddling. After a tough couple hours, I found an elevated bank and called it a night. Ray Roberts is next. The Red is in the books!! Norm drove 24 hours for this moment. Wow. Kevin and I at the Gainesville site. Norm behind camera. Delorme” around in your pocket for a couple of months, just to ease the pain of withdrawal for all your followers…..please….. 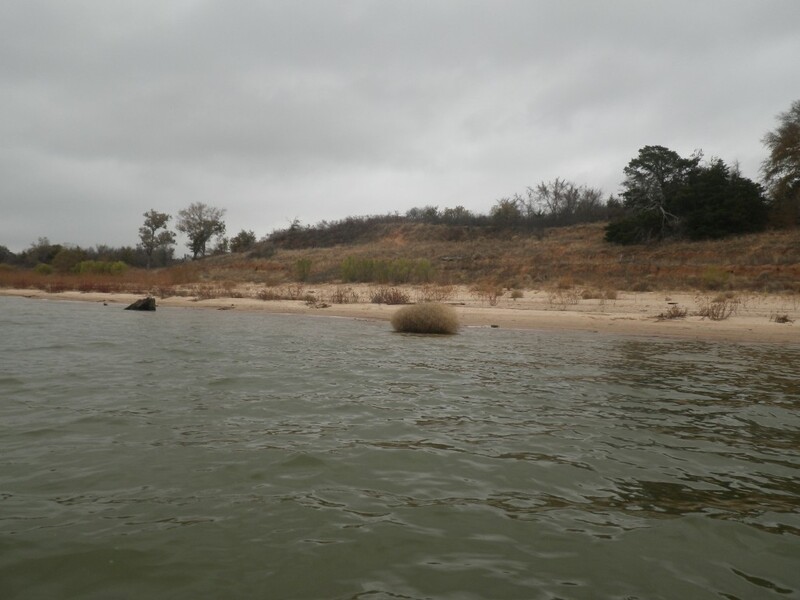 I could not believe the speed at which you crossed Lake Texoma, I thought for sure I would get a chance to met you on the lake. You were a man on a mission.